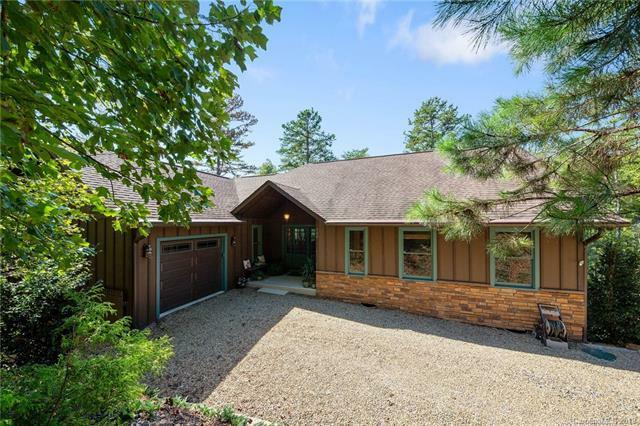 Wonderfully updated/remodeled ranch with full basement on Little Mirror Lake in Riverbend. Main level living and lots of outdoor living space, including two covered decks overlooking the lake and an enlarged dock with swing and large built-in storage box for water toys! Upper deck is screened with access from both living room and master bedroom. The upstairs guest bath will make your guests drool. Kitchen has new granite counters with a breakfast bar, lots of prep space and new undermount stainless sink, stainless dishwasher and stainless French door refrigerator with water and ice dispenser. The lower level features a rec room/den, dinette area (or home office/craft room) and a second guest suite. Home is situated on a private lot conducive to peace, quiet and relaxation! Perfect as a permanent residence, second home or vacation rental. Don't miss this one! Access Riverbend amenities - two lakes, beach, swimming hole on the Broad River, walking trail, and waterfall!